Located along the Rhine, Strasbourg is a quiet city which has managed to keep its charms of yore. 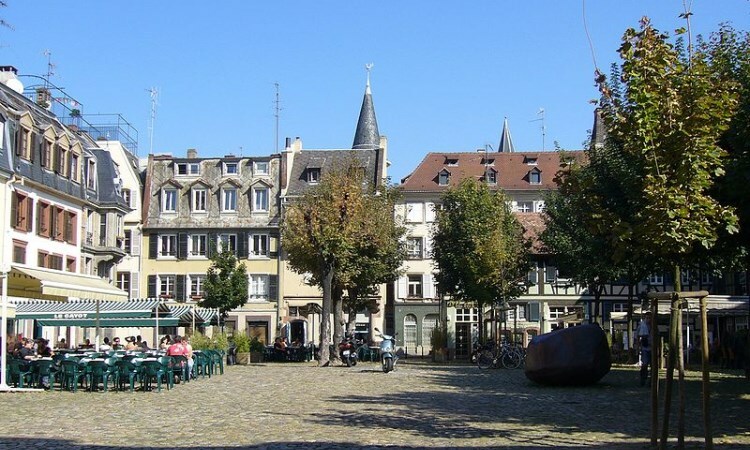 During your stay, you may be surprised to see how strongly the Alsatian culture is a unique mix of France and Germany. Unmistakable. The city also wavers between the old and modern trends. The cultural and historic heritage of the city proposes to you many visits. 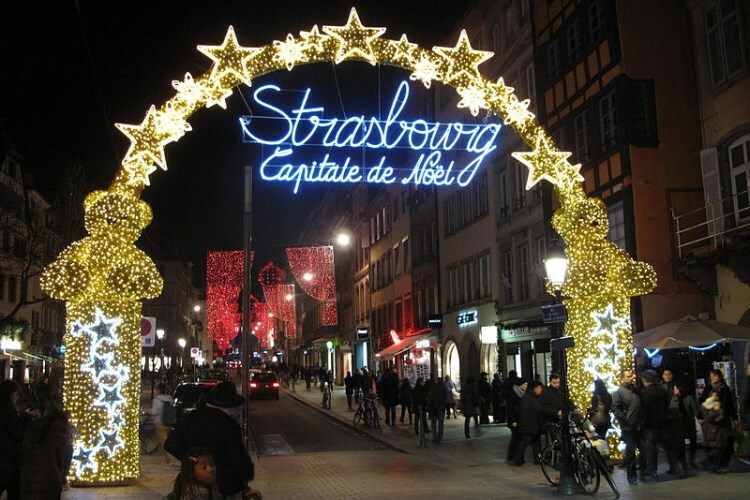 However, we know it is sometimes hard to choose, and we have selected for you a few places to discover in Strasbourg. 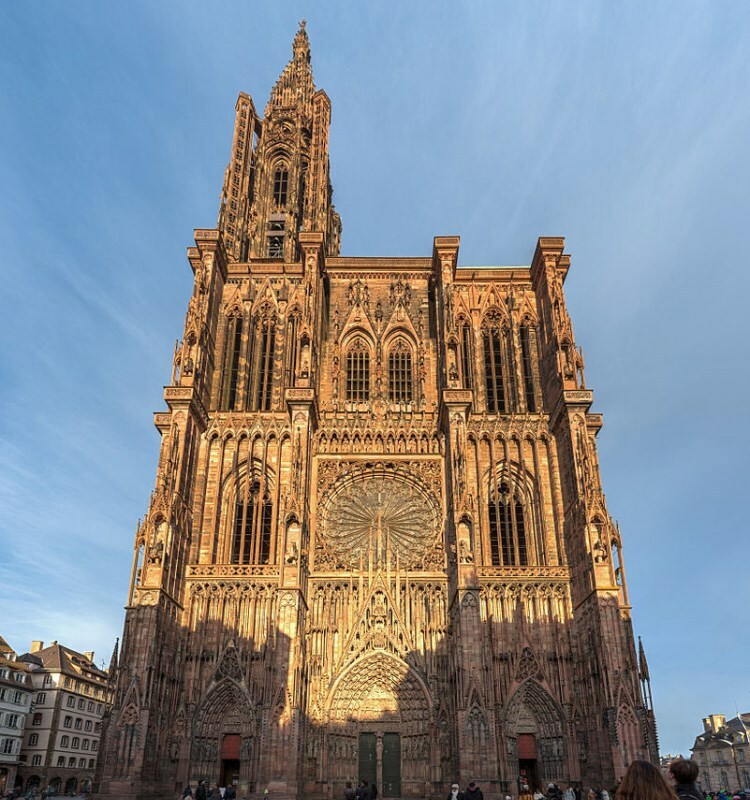 Strasbourg’s Cathedral is the symbol of the city: Its 140-meter-high tower is pretty difficult to miss. This imposing construction built the fame of the city throughout the country, and if you had time for only one visit, that would be the one! It really witnessed the history of the city. You will admire its Gothic-styled architecture, its numerous sculptures from the 15th century, and its crypt from the 11th century. The cathedral is easily recognizable with its unique tower, when most cathedrals have two. From 1647 to 1874, for more than two centuries, it was the highest building in the world, and it still is the second highest cathedral in France, just behind Rouen’s. There are guided tours inside, but above all there is an astronomical clock. The bravest can even climb the 332 steps of the tower to access a panoramic platform 66 meters high with the most beautiful view over Strasbourg. Our advice: Go to the panoramic platform (not free but cheap) to enjoy the view over Strasbourg. This must be the most famous area of Strasbourg, and you definitely cannot miss it: it is the most authentic, the most Alsatian district of the city. Its half-timbered houses and its little channels make it very different from the more modern parts of Strasbourg. It is a very picturesque area. Fishermen, millers, and tanners used to live and work here. 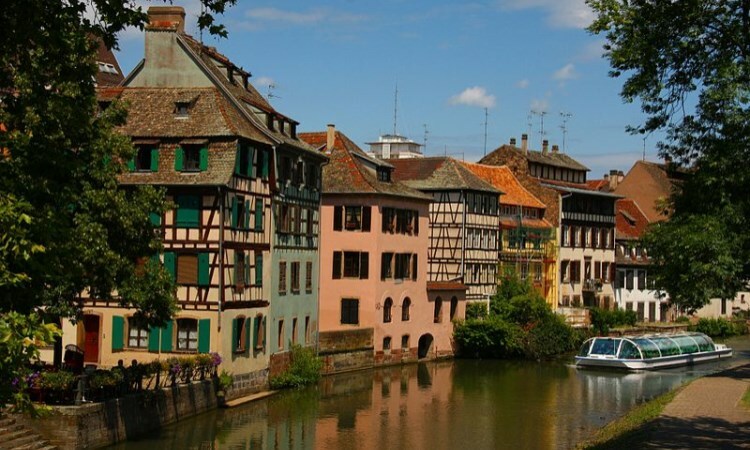 It is located on the Grande Île of Strasbourg, built right near the water along beautiful channels. A great place to wander around. The most ancient houses were built in the 16th century. La Petite France stands out of time: every effort is made to save this atmosphere and continue to attract tourists. It would be a shame not to visit it during your stay in Strasbourg. Our advice: Beware the tourist traps! The Alsatian museum is a museum of art and folk tradition which presents to you the life of yore in Strasbourg. So when you visit the museum, you will discover thousands of items from the rural life in Alsace-Lorraine from the 18th to the 20th century. You will admire costumes and clothes from past times, farmers’ suits, as well as the garments of the upper classes. There are also many pieces of furniture from this era, along with toys and pictures to revive the atmosphere of a family dinner in 1900. The museum does not focus on Strasbourg only: you will see every climate of Alsace, from the agricultural plains to the Vosges mountains. 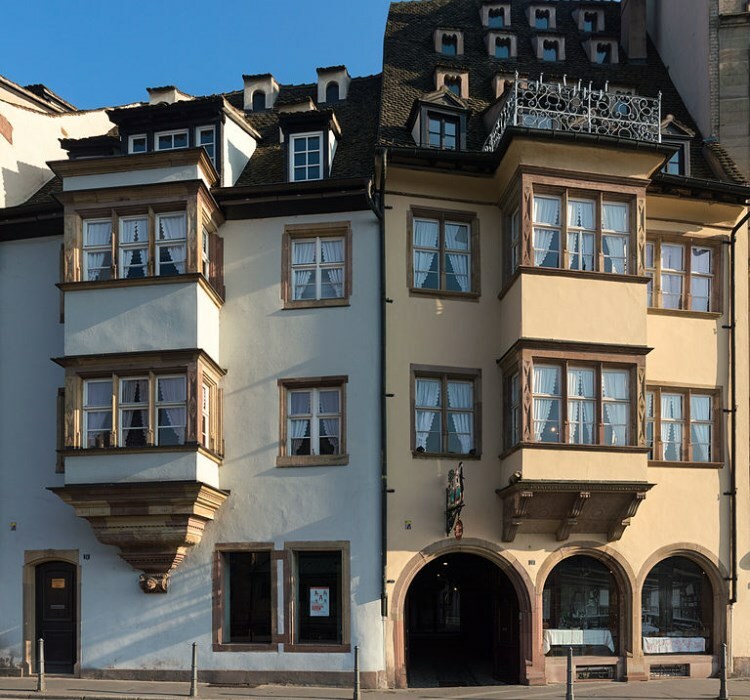 The Alsatian museum offers visitors a charming tour of Strasbourg’s old houses linked together via staircases and wooden passageways. You can explore it, noticing every detail of the everyday life which gives the feeling that the inhabitants of the house just left. This museum is a true parenthesis out of time, a trip to the past. Our advice: Do not bother to follow a guided tour. The Vaisseau’s concept is to open sciences to children in a funny way: children and teenagers are invited to discover sciences through games and fun activities. 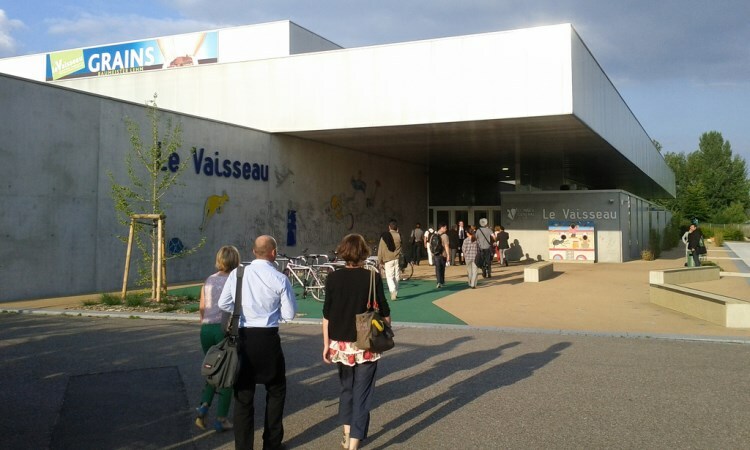 The Vaisseau is a place of learning which aims to be entertaining. There are 6 themed spaces to learn more about the human body, water, building, maths, or life in the garden. Activities, exhibitions, and shows take place the whole year with the same purpose: learn while having fun. So with all those activities, the teams of the Vaisseau keep being inventive to teach science to everyone. Our advice: This is the perfect family trip. Strasbourg is notoriously famous for its gastronomy; it is the cutting edge of the expansion of its culture through France. 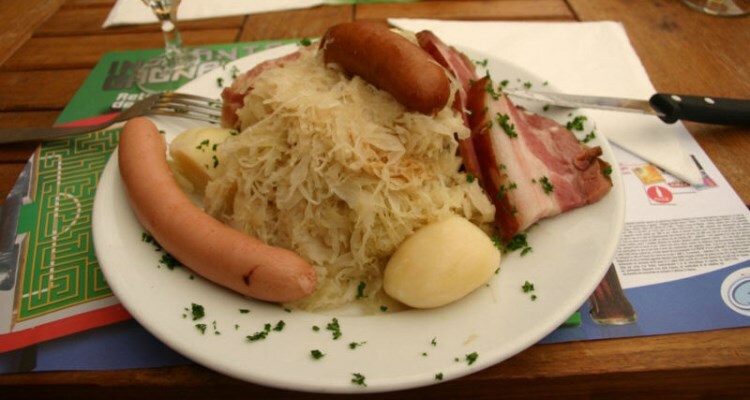 Everyone has heard of the choucroute, the iconic meal of Strasbourg made out of grated cabbage in brine, usually cooked with potatoes and sausages. You can have choucroute anytime in the year, often served with pork and ham. It is a true monument here. Strasbourg has been a gastronomic city defending its culinary heritage for centuries. Alsatian food uses mostly local products, but, aside from the traditional recipes, you can try the pork, ham, and Strasbourg’s sausage; they are quite famous. Pastries are not forgotten, with the well-known Alsatian bretzel but also numerous pies and cakes, such as the kougelhopf. Our advice: Many local festivals and fairs take place in December and January, and this is an ideal time to taste a bit of everything. Located at the heart of the university campuses of Strasbourg, this museum was inaugurated in the 18th century. 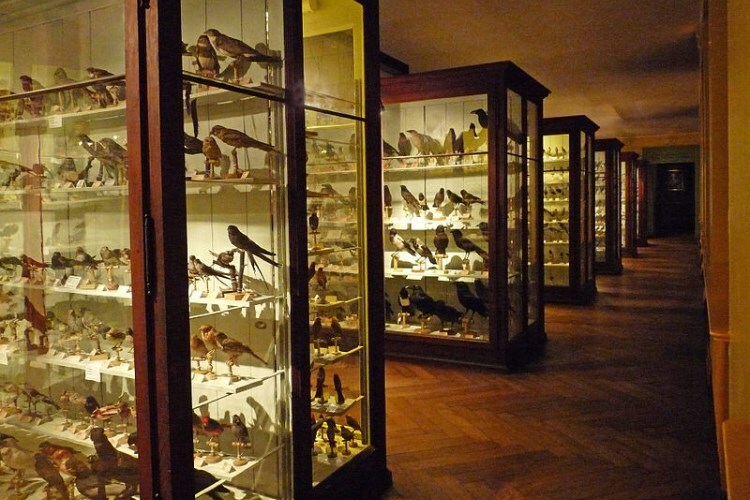 It was built upon the remains of the Gallery of Natural History of Jean Hermann and displays stuffed animals from all around the world. The collection of the museum is really impressive, depicting the wildlife of the Andes Mountains, of the Antarctic, or of Alsace. It is one of the biggest French collections. Rare South American animals are located near more “common” animals such as zebras and lions or marine animals, and there are also extinct animals. During your visit, you will travel the world as you pass from one room to another. Each room belongs to a particular theme and enables you to admire the birds, insects, turtles, or kangaroos of the museum: a real global view of the wildlife on Earth! The museum also houses temporary exhibitions and fun activities for children, which makes it a very good place to go with your family. Our advice: Make it a family trip. Besides its beautiful landmarks and its gastronomy, Strasbourg is known for housing the official seat of the European Parliament. 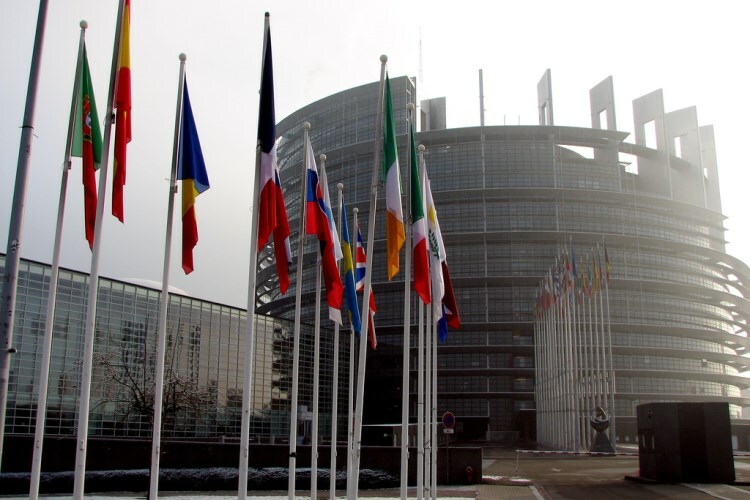 European MPs gather here each month for four days to discuss and vote. A few years ago, the European Parliament opened to the public: you can now visit the beautiful building. There are guided tours to discover the mysteries of the place and a retrospective about Europe’s history. You can also admire the hemicycle, where most of the sessions take place. A recent project of the Parliament allows young people to take part to the Parliament’s programmes: Euroscola. Our advice: If you are a group, book in on the website of the Parliament. Strasbourg is the perfect city for anyone looking to have a drink on a terrace. If you like this, go to the “PMG” or Place du Marché Gayot. This paved place that is famous enough is Strasbourg, surrounded by Alsatian-style houses under tree’s shadows. It is the true center of the city, full of bars and pubs and cafés. The atmosphere is fun, young, and relaxed, and you can easily unwind on the benches of the square. To make your choice easier, here are three bars you can find there: the QG (the HQ), the Saxo, and the Gayot. They are quite alike and certainly pleasant. They have a big terrace (all the better in summer), good music, but most of all, they enjoy a quietness you can’t find anywhere around the square, away from the turmoil of Strasbourg and the traffic noises. Strasbourg rests on the Rhine, which means the docks are a good place to go out at night, especially the barges. The “barge-bar” concept is expanding in the city, so many barges stay in the same place the whole year. Whatever the place, on the ground or on water, Strasbourg is an extraordinary city to go out at night in and proposes many different places to do so. Our advice: The PMG can be a bit crowded at night, it might be better to arrive early to have a seat in a bar. When you enter the Palais Rohan through the main courtyard, you can admire the impressive portal, built as a triumphal arch with statues representing Mercy and Religion. The Palais comprises three parts, which are three different museums. The first is the archaeology museum, in the basement, located here since the 19th century. It specialized in “National Antiquities”: it goes back from the first human traces in Alsace, around 600,000 BC, to the beginning of the Middle Ages. Thousands of years of history are presented over more than 1,200m² of permanent exhibition. The second museum is the museum of fine arts. It exhibits a great collection of paintings from the 14th to the 19th century, some of them painted by artists such as Botticelli, El Greco, or Van Dyck. It is a pendant to the Decorative Arts museum in the third part of the Palais, displaying ceramics, jewels, silver and goldsmith’s art, furnishings, and a timepieces room with the remains of the first astrological clock of the cathedral. Our advice: Plan to go a whole day to see the three museums. The Place Kléber is like the Place Vendôme in Paris: it embodies Strasbourg’s refinement; This square is surrounded by numerous shops, including the famous “Aubette,” which some call “the Sistine Chapel of Modern Art.” You will find several shops and restaurants there which are over 6,000m². At the center of the square is the Kléber statue, sculpted by Philippe Grass in 1840. It represents General Kléber holding the letter of Admiral Keith asking the French troops to surrender during the French Revolution. 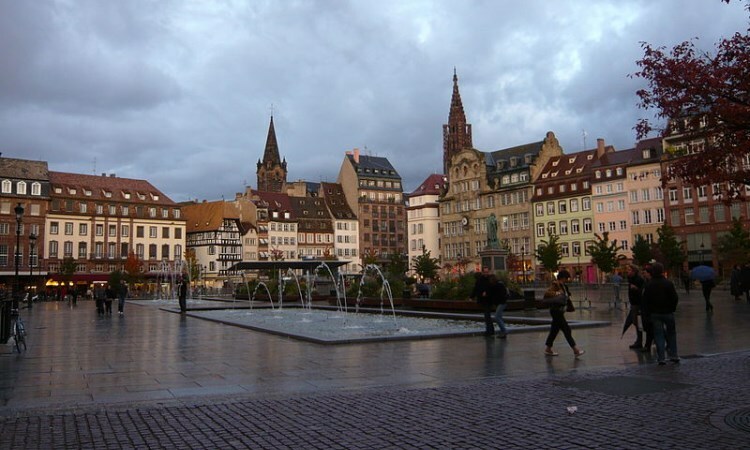 This beautiful and animated square seems to be the heart of Strasbourg. Our advice: Explore it during Christmas. Each year, from the 25th of November to the 31st of December, the biggest Christmas Market of Europe sets up in Strasbourg. This event is expected every year by the tourists and the inhabitants; it is divided between 12 places around the city to sell local products and decorations. The city lights up kilometers of garlands, putting on a new face for a month. Of course, you must wait for nightfall to enjoy it. Strasbourg, to renew the market each year, invites a foreign country to come and share its culture. For instance, Luxembourg had the opportunity to display its own food specialties on the market. Our advice: Visit it at night to enjoy the decorations. Strasbourg Area Guide: Where to stay in Strasbourg?